City breaks ground on Fire Hall No. 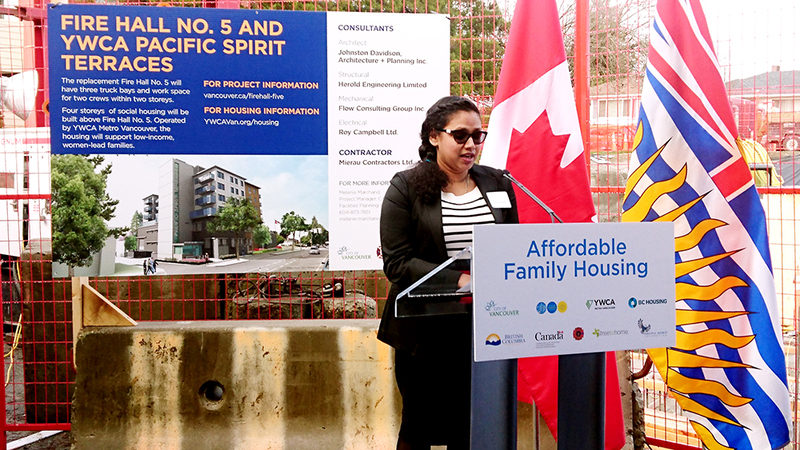 5 and YWCA Pacific Spirit Terrace, adding 31 units of affordable family housing to Vancouver. VANCOUVER, B.C. – This morning the City broke ground on the innovative Fire Hall No. 5 and YWCA Pacific Spirit Terrace, which will provide 31 new homes for single mothers and their children. 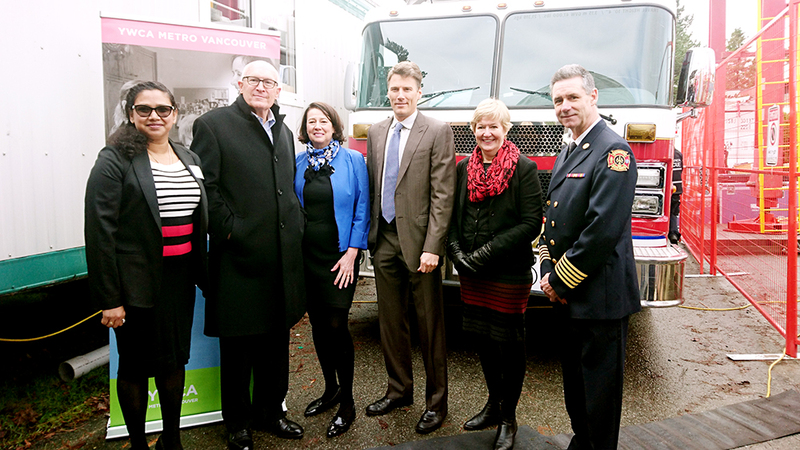 In attendance to celebrate the remarkable new project was Mayor Gregor Robertson, Minister Suzanne Anton, Fire Chief John McKearney, Janet Austin, CEO of YWCA Metro Vancouver, Streetohome Foundation and the Pacific Spirit Foundation. Fire Hall No. 5 has served the Champlain Heights and East Fraser Lands communities since 1952. 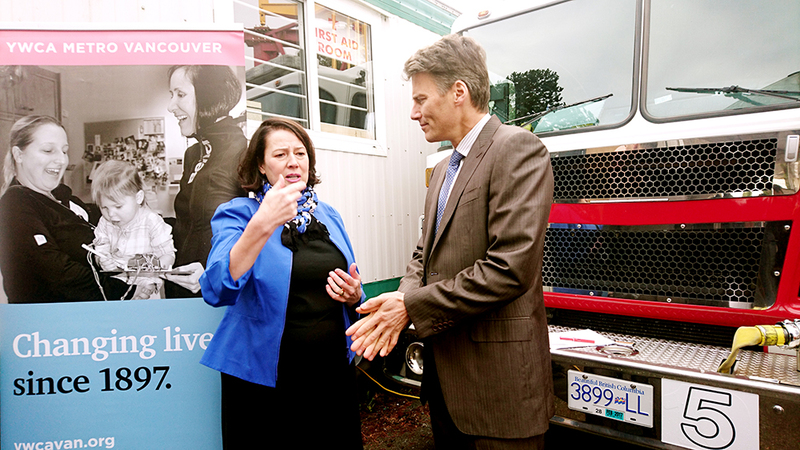 When it became clear that it required replacement, the City partnered with Vancouver Fire and Rescue Services and YWCA Metro Vancouver for a forward-thinking collaboration to create new affordable homes with below market rate rents for women and their families. 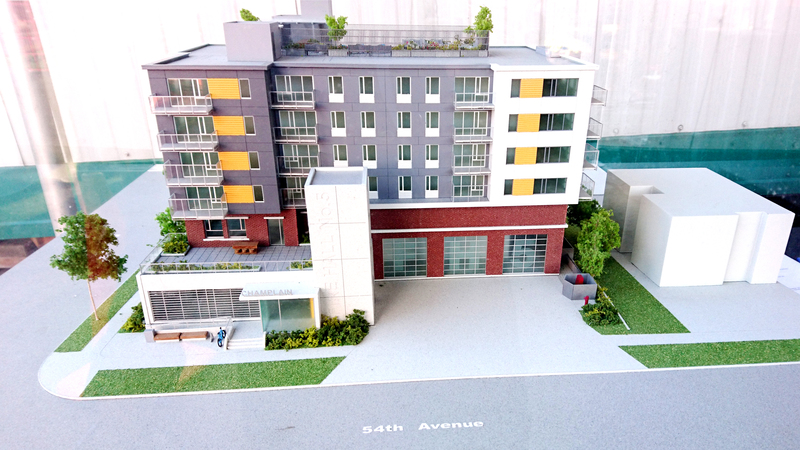 The six-floor development project will host a state-of-the-art fire hall on the first two levels, housing for low-income, single mothers and their children on the top four floors and a rooftop patio, creating housing for about 96 people in a family-oriented residential area, close to services, bus routes and schools. 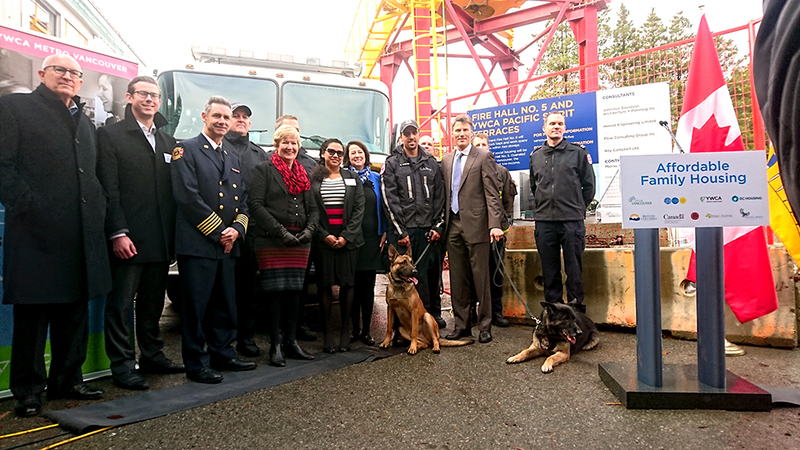 It will be designed to meet the needs of the growing community–as well as seismic codes–and accommodate larger trucks and other fire and rescue requirements., It will be built at the same location as the original Fire Hall No. 5, 3090 East 54th Avenue at Kerr Street. The City of Vancouver owns the land the YWCA will be the operator of the rental housing for 60 years. 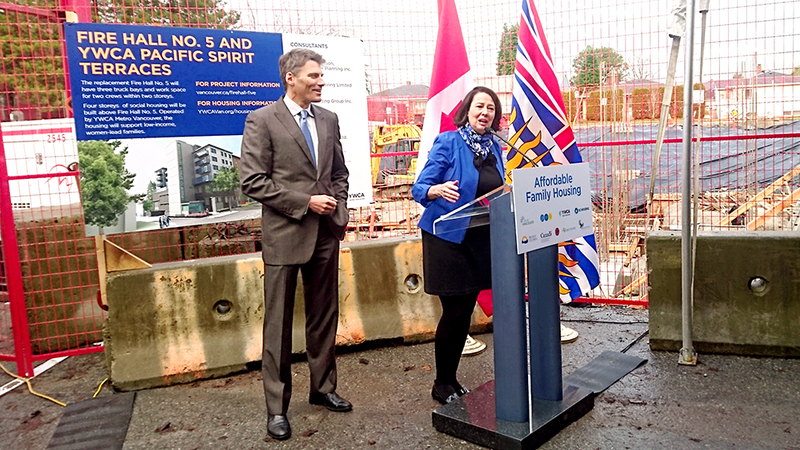 This initiative is a key part of the City of Vancouver’s Housing and Homelessness strategy, aimed at revitalizing existing social housing units and creating new affordable, community-focused housing. The City has invested $10.908 million for the replacement of Fire Hall No. 5 and $6.126 million for building the housing. The affordable housing portion of the project costs a total of $10.830 million. Major contributing partners for the housing are YWCA Metro Vancouver, the Government of Canada’s Homelessness Partnering Strategy program, Government of B.C., Streetohome Foundation and Pacific Spirit Foundation. 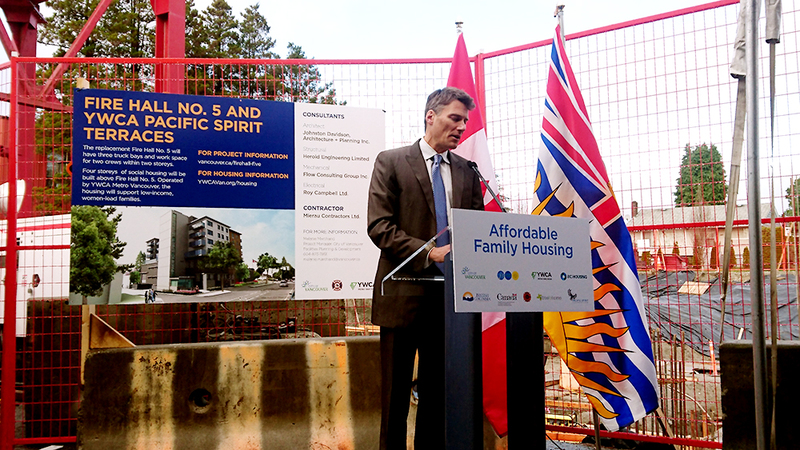 The Government of BC has invested $1.3 million to the housing component. Fire Hall No. 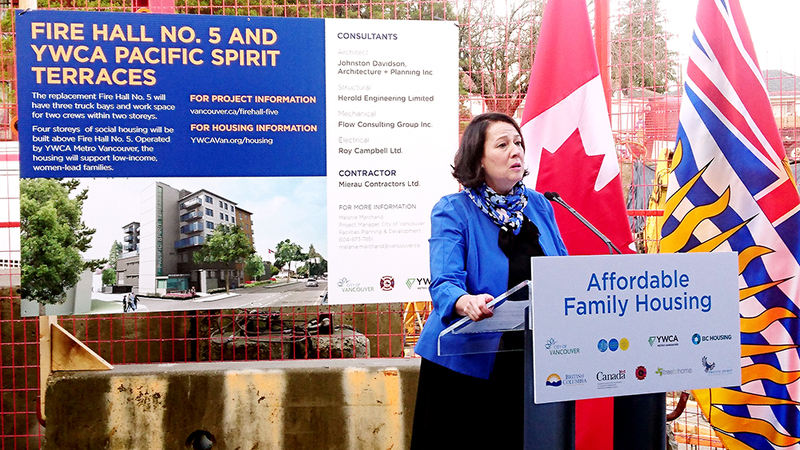 5 and YWCA Pacific Spirit Terrace demonstrate the success in creating affordable family housing through community partnerships and with the involvement of the Provincial and Federal Governments support. The City would like to encourage additional projects of this kind and has contributed 20 sites–worth a total of $250 million– to the provincial and federal governments to build affordable housing. "Our family is pleased to be the lead donor in partnership with the YWCA Metro Vancouver, the City of Vancouver, the Government of Canada, BC Housing and Streetohome to help make this great project a reality. It fits with our vision of helping families build a better life for themselves in Vancouver."